Kim Dotcom's latest file-sharing site will launch just before Dotcom's extradition hearing. Kim Dotcom's latest file-sharing site Mega, arising from the ashes of Dotcom's previous venture Megaupload, now has a January 20th release date. In what might come to be seen as hubris, Dotcom has set the launch date so that it will occur just before his New Zealand extradition case is heard. "The new Mega will not be threatened by US prosecutors," Dotcom said when he made the announcement, adding that "the new Mega avoids any dealings with US hosters, US domains and US backbone providers and has changed the way it operates to avoid another takedown." The initial announcement was briefly delayed, when repeated attempts to access the site caused the servers to overload. "All FBI agents pressing reload hahaha," Dotcom joked on Twitter. "We see their IP addresses," he added. The page currently up is just a splash, describing how Mega will work and how to become a partner. Mega is also looking for investors, not because it needs money for launch but because Mega wants to stay free of charge for as long as possible. For more details, see the Mega site. 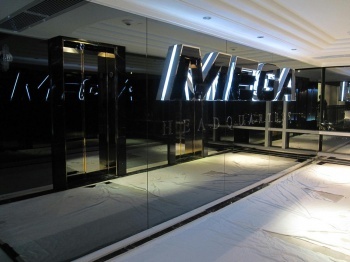 One of the major differences between Mega and Dotcom's Megaupload, which was shut down over copyright infringement allegations, is that Mega operators will not have access to files. File owners will need to ensure that their content isn't copyrighted, not the Mega operators. "You hold the keys to what you store online, not us," said Mega.